Inside this, I set many kinds of seeds and beans and chicory (some of them were provided by SALAD COSMO Co.Ltd. 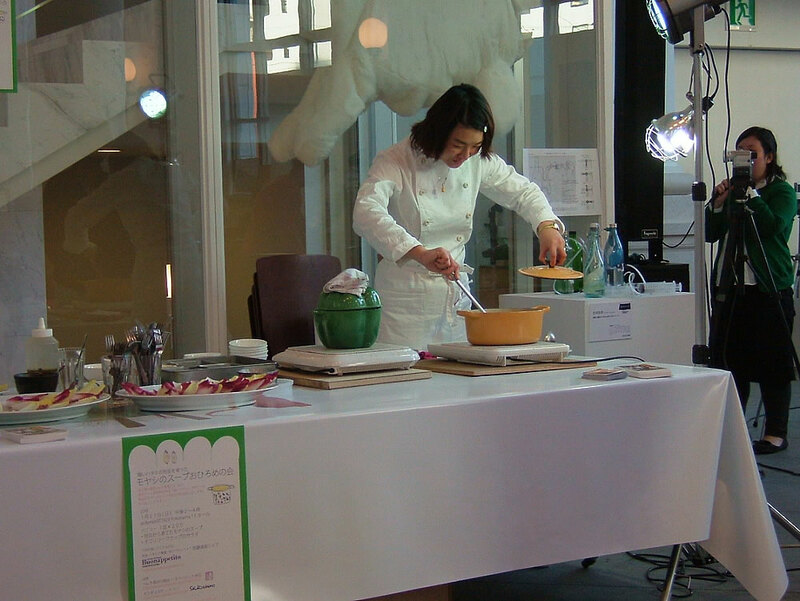 and Beniya Hasegawa shoten) and grew them for about two weeks, and finally served the dishes cooked with them. 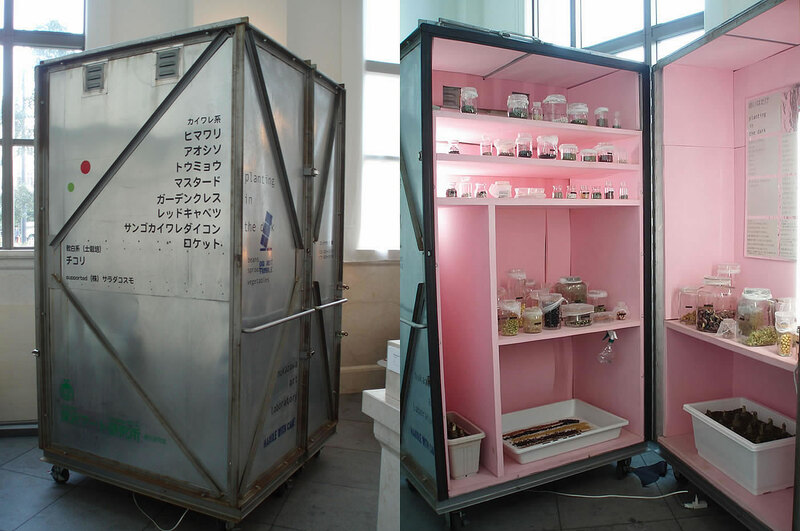 During the exhibition term, this container was opened once at noon for 30min to show inside. For the rest of the day the inside of it was totally dark, in which the seeds(beans) were growing. 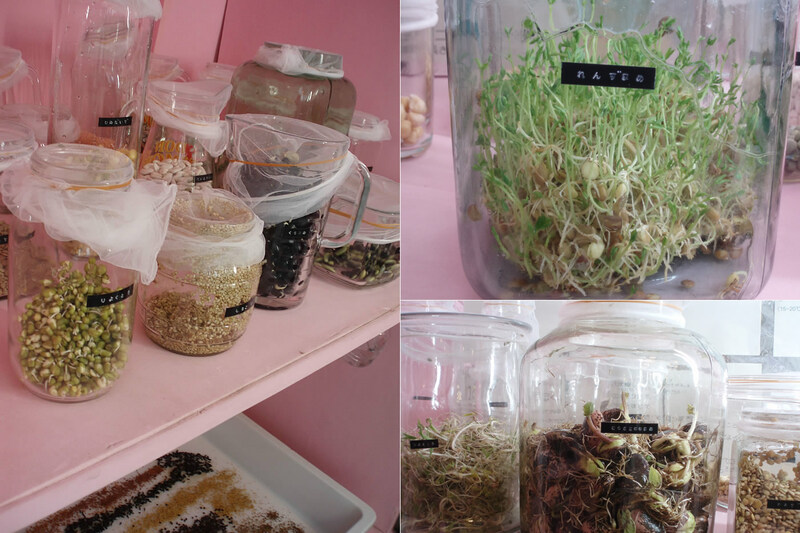 Seeds and beans growing were; sesame, mung beans, lentils, chickpeas, black soya beans, broad beans,Japanese soya beans, azuki beans, black-eye peas, kidney beans, green peas, pinto beans and so on. 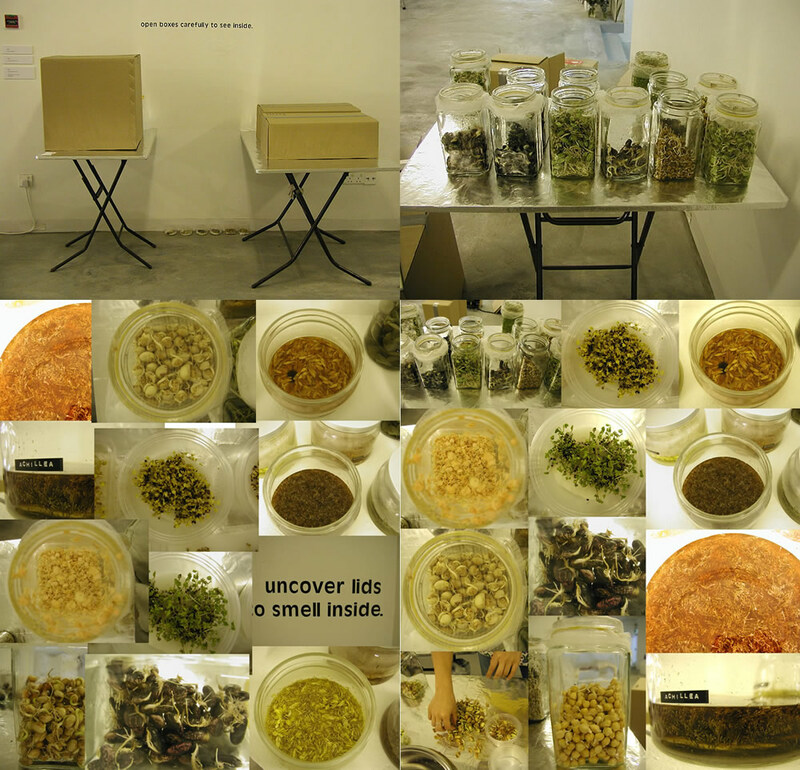 On the final day of the exhibition, I had the event to serve the dishes (mainly soups and salads) of the beans and seeds sprouts and chicory with the advice of my friend who was an Italian chef. 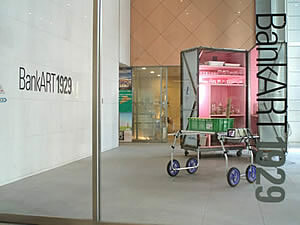 This is the similar art work in the project exhibition in Singapore. At that time, I used local beans, seeds and flowers' petals.Then I served them to visitors, too.